The memoirs of China's former communist leader who was sacked after the Tiananmen protests have been published. Zhao Ziyang's book lifts the lid on discussions within the party that led to the brutal crushing of the protest movement. 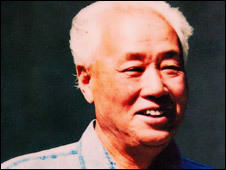 Mr Zhao was sacked after the crackdown and put under house arrest until his death in 2005. The publication of the book comes just weeks before the 20th anniversary of the killings. The English version is already on sale in Hong Kong, but the Chinese version is scheduled to go on sale from 29 May. The book is believed to have been based on secret tapes recorded while Mr Zhao, the party's former general secretary, was under house arrest. About 30 hours of tapes were apparently recorded and then smuggled out of China for the book, called Prisoner of the State: The Secret Journal of Premier Zhao Ziyang. It was apparently so secret that even Mr Zhao's daughter, Wang Yannan, told the BBC that she knew nothing of the book. 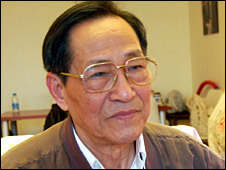 Those that have seen the book said Mr Zhao denounced the killing of protesters on 3-4 June 1989 as a "tragedy". "On the night of 3 June, while sitting in the courtyard with my family, I heard intense gunfire. A tragedy to shock the world had not been averted," he said, according to Reuters news agency. In the book Mr Zhao, who wanted China to embark on far-reaching political reforms, praised Western-style democracy. "If we don't move toward this goal, it will be impossible to resolve the abnormal conditions in China's market economy," he wrote. Mr Zhao's former secretary, Bao Tong, said he was behind the scheme to publish his former boss's memoirs. Mr Bao spent seven years in prison because of his involvement in the Tiananmen crackdown and is still under house arrest in Beijing. "I planned both the Chinese and English versions of the book," he told the BBC. "If China's legal bodies want to find someone responsible, they ought to come after me." He also challenged the Chinese government to contradict Mr Zhao's version of events surrounding the incident. In the book, the former general secretary says the students only wanted the party to correct its mistakes - not overthrow it altogether. The Chinese government is still sensitive about the Tiananmen crackdown, in which hundreds of students and Beijing residents are believed to have died. The publication of this book - coming just weeks before the 20th anniversary - is likely to embarrass the Chinese government, which is reluctant to talk about what happened.